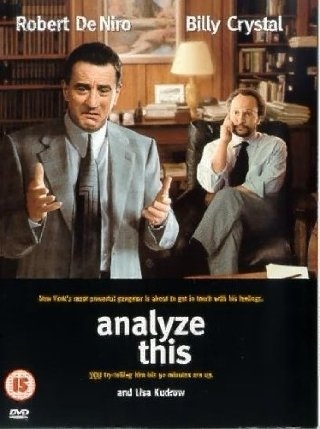 Analyze This 1999, starring Robert De Niro, directed by Harold Ramis…. I have spent the day recovering from my New Years Eve celebration watching films back to back. It started with Mr Magorium’s Wonder Emporium, Richie Rich, Charlie and the Chocolate Factory, Ratatouille and now, one of the films I can never watch too many times, with the actor who never tires, Robert De Niro in Analyze This. Because I absolutely adore this film, and am always amused by De Niro’s right hand man Jelly, I just had to make a note of this quote. Jelly: I’m gonna get a bite to eat. You wanna sandwich or somethin’?